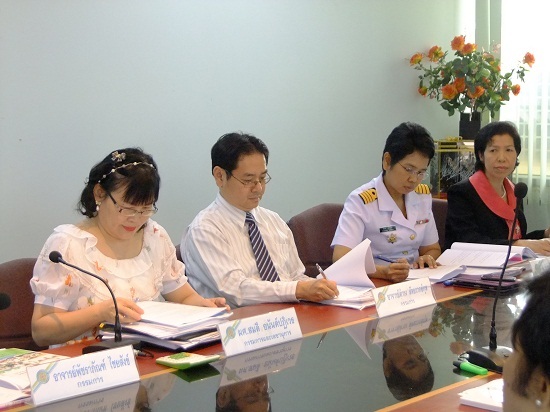 St Theresa International College (STIC) appointed the internal quality assurance committee of higher education from September 2-3, at STIC Main campus Nakhon Nayok. 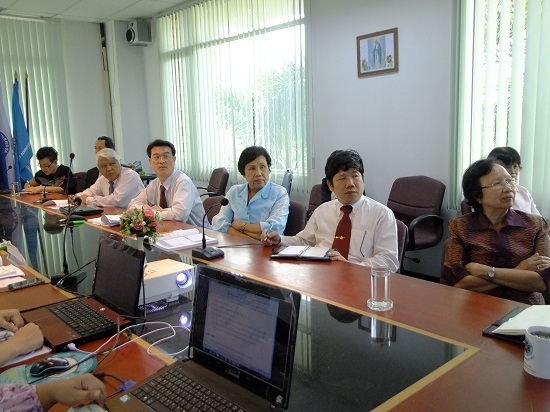 The committee agreed that STIC follows the policy and meet the requirements of the Office for National Education Standards and Quality Assessment (ONESQA) this year, 2013. After the two-day evaluation meeting STIC was rated “GOOD” for overall performance in higher education. 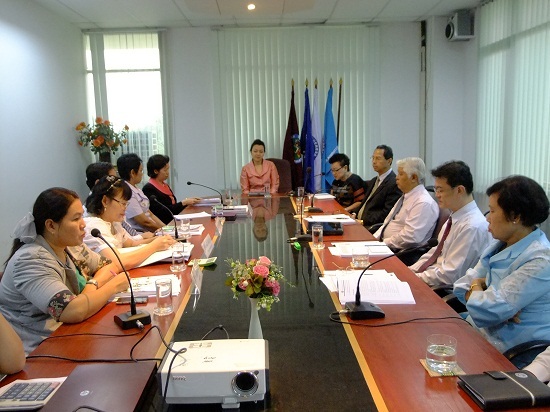 The evaluation committee was set up and led by Dr. Sa-nguanpong Chuanchom, of the Vongchavalitkul University. Other appointed committee members included Ajarn Damrong Sattayawakul, Group Captain Dr. Thanaporn Yaemsuda, Ajarn Patcharaphan Chaisang, and Asst. Prof. Somdee Anantpatiwej of STIC as secretary. On hand to welcome the assessors were Dr. Maria Theresa Virachanee Phromsuntorn, STIC Council Vice Chairperson, STIC President Dr. Piyada Watttanasan, management, and staff.